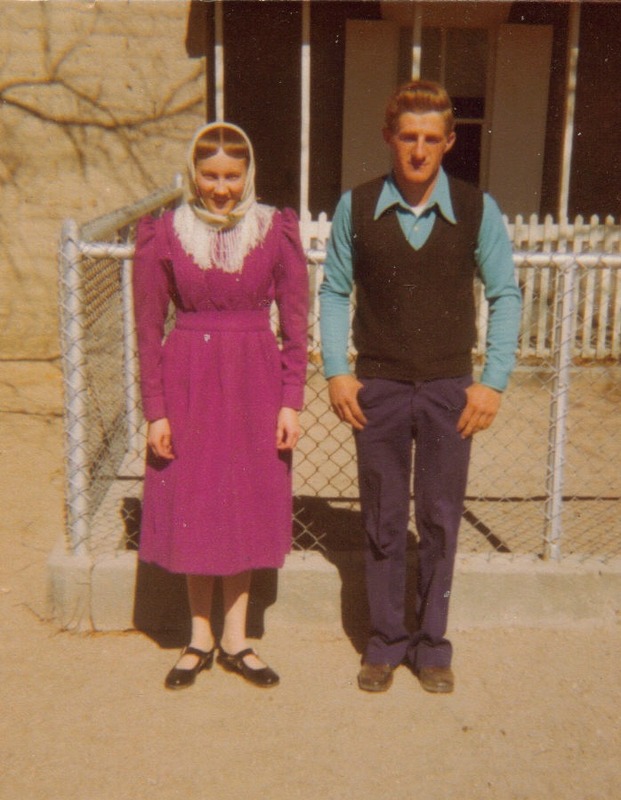 Note: this post is part of a series entitled What is a Mennonite? It began with me exploring my place in the Mennonite culture, and went on to look at the history of the Mennonites. You guys: I was totally going to create an outline of all of the major groups of Mennonites in North America. I thought I had a rough idea of all the general divisions and distribution of Mennonites out there. But the more I researched, the more different groups I came across, each with its own distinct characteristics and history. I didn’t even know there had already been Mennonites in North America for several decades (including the Amish) before my ancestors from Russia showed up. I didn’t know there were so many subgroups of Amish, either, or that there were so many Mennonites in Ethiopia and the Congo. Who knew? I realized that I can’t possibly do a full overview of the Mennonites without getting really academic and boring. All of the various Mennonite groups have their origins in Europe — particularly Germany, Switzerland, and the Netherlands — and were the Anabaptist followers of Menno Simons. So most Mennonites have some kind of German/Swiss/Dutch background. Some moved to North America directly from Germany and Switzerland in the early 18th-century, while others arrived later from Russia and Poland. More Russian Mennonites migrated a few decades later. In other words, Mennonites arrived in North America in waves, at different times and from different places, bringing with them their own distinct dialects, cultures, and religious traditions. They have many similarities, though. Today, most Mennonite groups continue to adhere to these pillars of their faith to varying degrees. For example, some remain physically separated from the world in isolated communities, while others practice less extreme forms of nonconformity. Why So Many Kinds of Mennonites? Because Mennonites have traditionally lived separately from the world (see #4, above), generally in small, isolated communities all over the globe, they have always had to deal with the question of acculturation: how much should they allow the surrounding culture to influence and shape them? The reason there are so many subgroups of Mennonites is largely because different members have come to different conclusions on this matter. Divisions always seem to center around how important it is to preserve the old way of life and to remain distinct from the surrounding culture. There are always some Mennonites who feel it is essential to preserve their traditional ways, while others are more accepting of certain cultural changes (including modernization). Then there are always Mennonites within the group who think they have already come too far, and feel the need to go back to their more conservative ways. And because Mennonites tend to adhere to notions of collective salvation, where the salvation of the group depends on the obedience of every member, they have constantly had to reorganize and form new groups wherein every member agrees about how to live life together. So here are just a few of the major subgroups of the more conservative Mennonites. The Amish are a subgroup of the Mennonite faith. The founder was Jakob Ammann, a Swiss Mennonite leader, who felt Mennonites were drifting from Menno Simons’ original teachings. He felt the faith community had become too lax with church discipline practices, particularly that of excommunication. In 1693 his followers withdrew from the larger Mennonite community and started their own church. 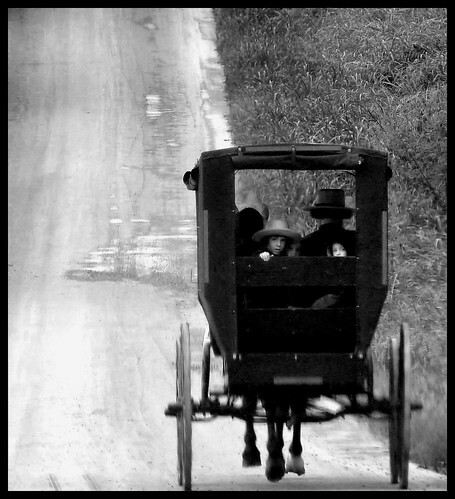 Amish Mennonites began migrating from Switzerland and southwestern Germany to Pennsylvania in the early eighteenth century. They remain mostly concentrated in Pennsylvania, Ohio and Indiana, though they have also spread to neighbouring states and even into Ontario. Within the Amish, there are two major subgroups – those who identify themselves and Amish Mennonites, and those who identify themselves as Old Order Amish. Within these subgroups are many different orders, and within these orders are many different communities, all varying slightly in their faith practices (including dress, transportation, and use of technologies). For this reason, no summary of Amish lifestyle and culture can be totally sufficient, because there are few generalities that are true for all Amish, though they remain recognizable by their simple dress and rejection of modern technologies to varying degrees. The Old Colony is a subgroup of the most conservative Mennonites who emigrated from Russia to Manitoba in 1874, and later from Manitoba to Mexico in 1922 (I wrote extensively about them here). Unlike Old Order Mennonites (below), the Old Colony Mennonites are made up of those Mennonites who were always the most conservative. They have also always tended to be less educated and the least acculturated. They are recognizable by their distinct type of dress and their continued use of the Low German language in their homes. I just learned that there is an official conference of churches known as the Conservative Mennonites (to which the Old Colony does not belong). They are made up of conservative minorities scattered throughout Mennonite communities across North America who joined together between 1958 and 1960. They felt the mainstream Mennonites were drifting from their original traditions and launched an independent conference. This is another subgroup made up of conservative minorities across North America – like the Conservative Mennonites above – who felt Mennonites were straying from the original path. They joined together as one brotherhood between 1872-1901, though there is no formal organization. They, too, tend to be recognizable by their distinctive dress (which is different still from that of the Amish and the Old Colony Mennonites). Where I live in southern Ontario, there are huge – and growing – numbers of Evangelical Mennonites, which is an oxy-moron if I ever heard one. (Evangelicals and Mennonites have historically approached the gospel in dramatically different ways). These Mennonites generally come from an Old Colony or Russian Mennonite background, but have been intensely influenced by Evangelical faith and culture. They are basically indistinguishable from other Evangelical Christian groups, dressing and speaking and living just like other church-going Canadians, except for the lingering vestiges of Mennonite self-loathing and a tendency not to pursue higher education (though this is changing in recent years, too). Apart from these more recognizable groups, there is a huge range of different kinds of Mennonites all across North America. They tend to be recognizable by their commitment to non-violence and passion for social justice, but are different from each other in almost every other way. Before I leave the subject of Mennonites, I feel the need to highlight the Mennonite Central Committee, mostly because this organization makes me so dang proud to be a Mennonite. (Oops . . . there’s that pride again). I had never even heard of MCC until I reached high school, but now, my husband and I are passionate supporters. MCC a worldwide ministry of Anabaptist churches committed to alleviating human suffering. They place an emphasis on disaster relief, sustainable community development, justice, and peacebuilding. According to their mission statement, their purpose is to “share God’s love and compassion for all in the name of Christ by responding to basic human needs and working for peace and justice.” MCC does so much awesome stuff, carrying out the longstanding Mennonite commitments to nonviolence, community, and peacemaking. Some of the more conservative Mennonite groups don’t support MCC because of their openness to people of other religions, but that just makes me love them more. So I hope that was helpful! Do you have any remaining questions about Mennonites? I’d be happy to answer them as best as I can! P.S. 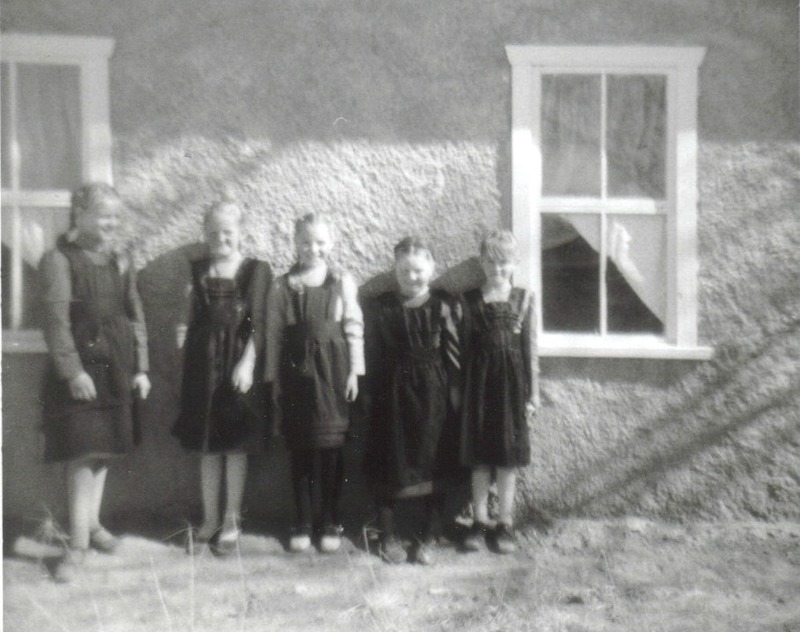 I haven’t forgotten (though you probably have) that I promised to talk a little more about the Old Colony Mennonites and where I fit in to all of it. It’s just such a huge proejct, I haven’t completed it yet. A post is in the works! *The information about the Schletheim Confession comes from Victor D. Kliewer’s The Mennonites in Essex and Kent Counties, Ontario. The Essex-Kent Mennonite Historical Association, 1997. Photo credits: The first (black-and-white) photo comes from my mom’s photo album, circa 1976. The Amish buggy photo is courtesy of Cindy47452. 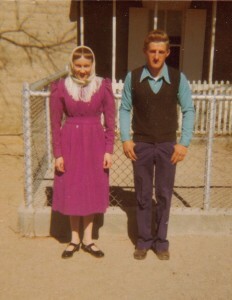 The Old Colony Mennonite couple is my husband’s aunt and uncle — Mexico, 1970’s. Filed Under: What is a Mennonite? Tagged With: mennonite history, what is a mennonite?